After topping the charts 5 weeks in a row up to the 25 August 2007, Nationwide has been off the boil but now they're back (from outer space...Gloria Gaynor might say). Nationwide flight 606 is the cheapest flight from Durban to Cape Town, leaving Durban at 1400 and arriving in Cape Town at 1610. The average flight price in this survey represented the most expensive average flight prices from Durban to Cape Town surveyed so far this year. 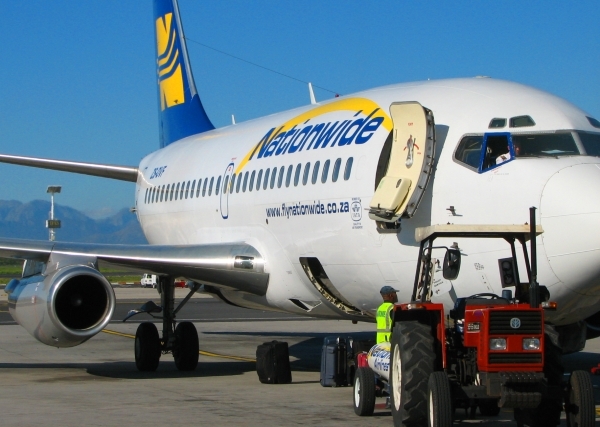 Nationwide airlines have an awesome record on flights from Durban to Cape Town. They have had the cheapest flight 3 of the 4 times we've surveyed this route (the time they weren't cheapest their website wasn't working) this year. 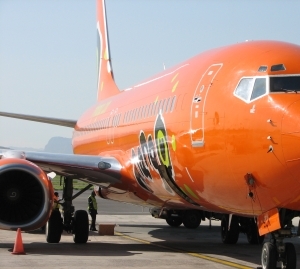 On flights from Cape Town to Durban Nationwide airlines have topped the charts two out of the four times we've surveyed that route this year. Flight prices from London to Cape Town are going through the roof, but a KLM flight (wait for it...) booked on the Air France website was the cheapest in our survey. The flight leaves London for Cape Town on the 1st January 2008 and returns from Cape Town to London on the 17th January (both flights via Amsterdam). In our previous survey a British Airways flight was cheapest (from London to Cape Town return) at £501. We were ecstatic when we received a Mango airlines email encouraging us to "fly Mango for less than R90" and calling it a happy hour all day long. Some happy hour. It's akin to a bar advertising a happy hour where you can "buy a drink for less than R90", then when you arrive at the bar finding out that you have to buy two drinks, and whilst the first one costs R87 the second costs R549. Creating these illusions of low prices only to be dissapointed at a later stage is all so unnecessary, and ends with Mango losing credibility. 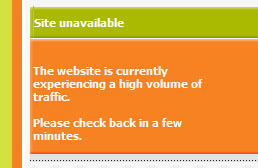 An advertisement which Kulula.com emailed out on the 9th July 2007 has been banned by the Advertising Standards Authority, as it does not properly display the fact that the advertised prices exclude airport taxes. On the 14th September we had a new record number of visits to our website in one day - 2,967 absolute unique visitors popped by our website (all welcome, and there's place for plenty more). Every time we think that the number of web visitors have peaked, we are surprised when it hits a new peak. We are amazed at the interest shown in the South African airline industry, and humbled that it is our website that the choose to visit. Mango airlines are copying Nationwide airlines' business model, by combining a no-frills offering with a business class offering. Dubbed "Top Class", Mango airline's business class offers flexibility of flights (we call it "leave late now or leave late later"), 30kg luggage, a "free" (that's if you can call paying R700 extra free) meal and access to a business class lounge. Remember the July 2005 South African Airways strike? During the SAA strike, 1time airline helped out with ferrying the stranded SAA passengers around. 1time had a verbal agreement with SAA to pay them for this work and invoiced them for some R1.3 million, of which SAA paid about R0.9m. A dispute has arisen over the remaining R0.4m and 1time airline is not only taking South African Airways to court, but the 1time CEO - Rodney James - has said 1time will no longer carry stranded SAA passengers unless they fully pay for their 1time tickets. In its quest to return to profitability, SAA has announced large increases in its African flight routes. SAA also plans on increasing its flight capacity to 11 of its 19 African destinations - Entebbe, Nairobi, Dar Es Salaam, Mauritius, Blantyre, Lilongwe, Gaborone, Windhoek, Kinshasa, Libreville, Luanda and Abidjan. Four weekly flights to be launched. Later plan on operating round-trip flights from Johannesburg to Libreville, Libreville to Abidjan (Cote d'Ivoire) and Abidjan to Johannesburg. Increased by 1 per week. Remain at 4 flights a week, but using a larger aircraft, a Boeing 737. Remain at 7 flights a week, but 4 are using a larger aircraft, a Boeing 737. Remain at 2 flights a week, but using a larger aircraft, a Boeing 737. Remain at 5 flights a week, but 2 are using a larger aircraft, a Boeing 737. Two of the weekly flights will be using a larger aircraft, a Boeing 737. Flights from Johannesburg to New York are realigned to 4 via Accra, with 3 remaining via Dakar. We're only surprised the decision took so long. Coincidentally, the decision by British Airways to halt flights to Zimbabwe took place in the same week that Gordon Brown (Prime Minister of the UK) pushed for tougher action against Zimbabwe. Came across this thread at PPRUNE (an online forum where pilots go to continue their gossping outside the cockpit), where a South African expat now in Canada reflects on SAA's woes over a klippies and coke, without wanting to steal his thunder here's one quote from the story - "nothing in this thing called life comes easy and sometimes you might have to work for it, whatever your race may be". 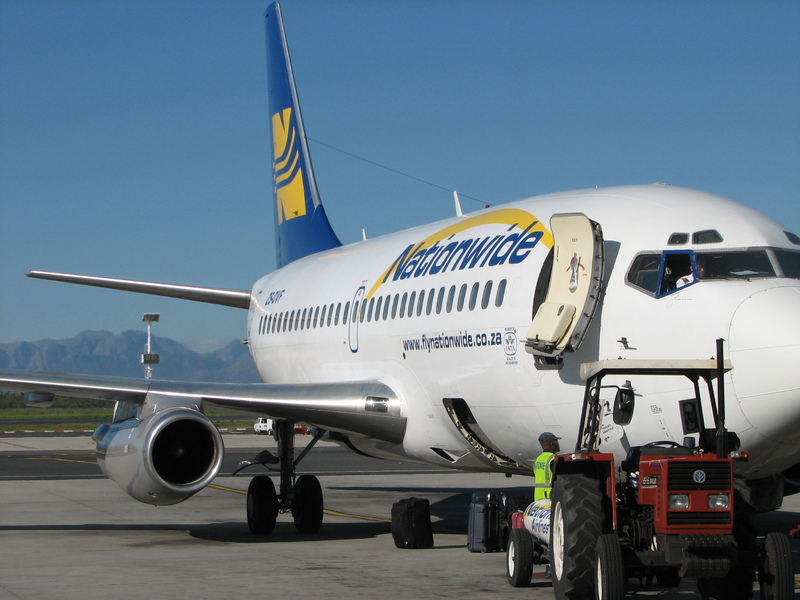 In this short blog entry, a Glaswegian describes how to survive an Air Namibia flight (that is, one without an accident!). In this blog (link removed as blog has been shut down), "Zoopy" describes what he thinks of South African Express's 48-seaters (which is not too much). 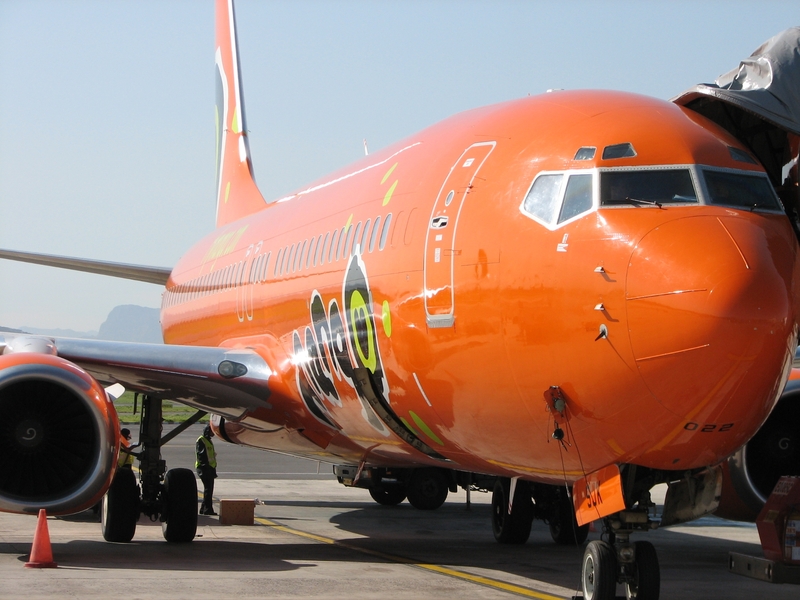 Zoopy is a blog by the owner of Zoopy (a South African social networking site), who went on a flight from Cape Town to Port Elizabeth in an SA Express (SAX) 50-seater - he recommends rather taking a Kulula flight. We aren't the only ones who have issues with Mango's latest advert. Michael Salzwedel blogs about (link removed because the website stopped working) something we've mentioned in the past - how airlines' websites stop working due to web traffic when they are running a juicy special. Michael draws attention to Mango airlines' R90 flights special. Emirates flight frequencies from Dubai to Johannesburg are being increased to 3 a day on Mondays (from 1 February 2008), Fridays (from 28 October 2007) and Saturdays (from 28 October 2007). In total Emirates flights will be 21 a week after this change (this is the second phase of their increase to 3 flights a day). OneTime airline has gained ground and Mango has lost ground (not as many people visiting the site since they haven't given tickets away for a while?). See our update of SA airliners website rankings. Note that this survey was conducted before Mango's advertising effort on the 21st September 2007. If you ever think South African flight prices are too high, have a look at the cost of these flights from London to Paris. A flight from London to Paris is about 70 minutes, so a comparable flight in South Africa is a flight from Johannesburg to Durban. From the 7th December 2007 there will be bmibaby flights flying from Birmingham to Madrid (bmibaby is a UK-based low cost carrier operating flights in, to and from the UK). If you live in London, you now have two daily options to catch business class Silverjet New York flights, as it is doubling its flights between London and New York Newark from one daily to two daily, with the introduction of a new Boeing 767. In addition, Silverjet airline is, from the 18th November 2007, starting operating flights from London to Dubai. Silverjet runs a business class only service. We've revamped our webpage on flights London to Nice (pronounced "niece", Bob) in France, to include what we believe to be the top ten things to do in Nice, details of the airport at Nice and how to get to Nice using the National Express or Eurostar train. With bmibaby operating flights from Birmingham to Madrid from the 7th December 2007, we decided that it's time to start covering the route. And while we're in Spain and Birmingham, we covered flights from Birmingham to Barcelona. Air France are running a load of sales of flights from London Heathrow and London City airports (in fact in our last survey of flights from London to Johannesburg, Air France came out cheapest - so it's a genuine sale). "No frills, no extras. You pay for the flight and nothing less. That's what people want. The so-called freebies that other airlines offer aren't freebies at all. They're a rip-off. I look at it like this. If someone came up to me with a plastic tray of airline food and said, 'Will you give me a tenner for this sh1t?' I would say 'no'. There's no such thing as a free lunch so we don't pretend to provide one.'" Stelios Haji-Ioannou, the founder of easyJet flights as quoted in the book by Lois Jones "easyJet: The story of Britain's biggest low-cost airline".